Go Go Skank rain down a hailstorm of get up and Go Go! 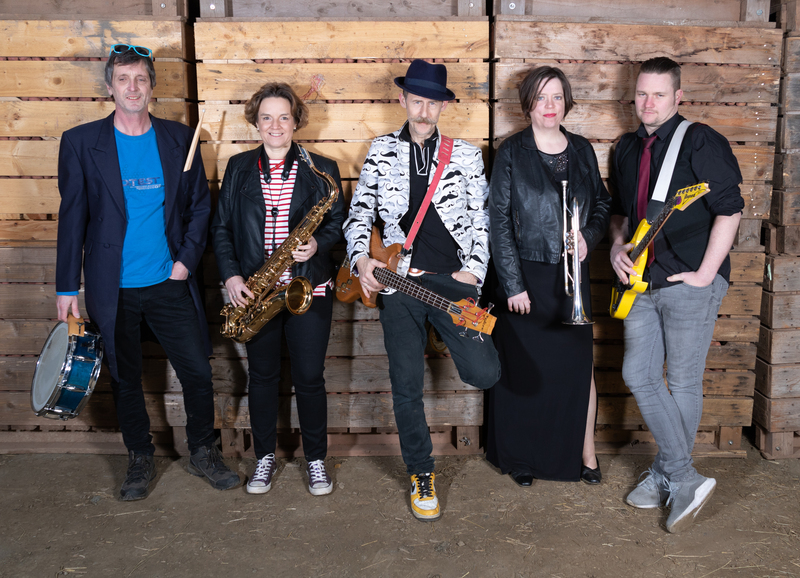 They take well-loved 80s tunes, chew them up and spit them out in a Rockabilly Ska style that will get any skankster moving and shakin’ like you’ve never had it before. You’ll even get a free skankster stick-on moustache if you impress them with your moves… Go Feet!